On Day 9 of the Aadhaar hearing, Senior Counsel Kapil Sibal commenced his arguments submitting that many persons are facing problems in registration for old age homes on account of the need for Aadhaar. “How many parts of the country do not have electricity and wifi? How many places are there where machines have not reached and where they do not work? How can the Aadhaar scheme be implemented in a country like India?”, he inquired rhetorically. “1.2 billion Indians have already been enrolled under the project. Merely 10 crore remain. So the scheme must be functioning”, responded Justice A. K. Sikri. “This is not a ground to say that the Act of 2016 is unconstitutional”, added Justice Ashok Bhushan. “Identity is only proof. Entitlement should be based on status and not identity. Only today a news report has been published that ration shops in Delhi are also awaiting Authentication”, submitted Mr. Sibal. At this point, ASG Tushar Mehta stood up to submit, “There have been no exclusions. I have an affidavit to support this”. Thereupon, Mr. Mehta referred to a directory issued by the Cabinet Secretary on December 19, 2017- “‘Subsidies, Benefits and Services’ may made accessible to the beneficiaries even on the production of any alternative ID like the voter’s ID, Ration card etc. Where Aadhaar mechanism fails, iris scan maybe carried out in addition to fingerprints; there may be mobile based OTPs, in case of internet disconnection. There is also Regulation 12 of the Enrolment Regulations of 2016”. “This directory contemplates the problems that arise in the implementation of the scheme and also acknowledge the need to have in place measure”, noted Justice Chandrachud. “Please pass an interim order for alternative IDs for at least ration”, prayed Mr. Sibal. “96% of the population already has Aadhaar. For the remaining portion of the population where either Aadhaar is not available or the Authentication fails, we are permitting alternative ID proofs”, remarked Mr. Mehta. Justice Sikri posed a doubt regarding the awareness of BPL persons of these provisions. “The Aadhaar scheme is citizen friendly and we are noting all possible and existing problems”, responded Mr. Mehta. Emphasising on the ‘exclusion’ characteristic of the project, Senior Counsel Gopal Subramanian added, “on February 6, 2018, the UIDAI has written to the Common Service Centres (CSC) Digital Kendra, which is a Special Purpose Vehicle for the dispensation of pensions within the aegis of the Central government, that the MoU with the CSC shall not be extended on account of the quantum of grievances”. Justice Sikri concurred with Mr. Sibal that mere statutory safeguards are not sufficient- “My Fundamental Right is being violated in praesenti. An interim order is needed”, added Mr. Sibal. In view of the Proviso to section 7 of the Act, Attorney General K. K. Venugopal submitted, “mere application for Enrolment is sufficient if one does not have the Aadhaar number”. “That is not how the Proviso is to be interpreted. It allows alternative proofs of ID. Even section 4(3) reiterates that”, responded Mr. Sibal. “Is there any provision in the Act for circumstances where the Aadhaar mechanism fails?”, asked Justice Chandrachud. “None”, replied Mr. Sibal. Justices Khanwilkar and Sikri concurrently stated that if the Aadhaar Authentication fails, mere proof of the card is sufficient and in the absence of the Aadhaar card, proof of application for Enrolment shall also suffice. “Section 7 has to be read in this context. First is Authentication, second, there is the proof of possession of Aadhaar, and finally, there is proof of application for Aadhaar. So in view of the second point, is there not an option to not go for Authentication?”, noted Justice Chandrachud. “Let us not interpret the Act to fit particular situations. That will lead to further problems”, responded Mr. Sibal. But Justice Chandrachud and Mr. Sibal agree that “Authentication is the heart of the matter”. “There is also Regulation 26 providing for consequences for the breach of my security. But they only came in 2016 while breaches have been occurring since the inception of the scheme”, added Mr. Sibal. Moving on to discuss the regime of the UK ID cards Act of 2006, brought into force to “counter terrorism, collective crimes, illegal immigration, identity fraud, dispensation of public services etc”, Mr. Sibal quoted an observation that “the register under the Act is a massive database containing the personal data of citizens which may be accessed by officials and public bodies”. “The HMRC lost the data of 25 million people”, added Mr. Sibal in context of the lack of credibility of the UK ID cards scheme. “Take for example the social security number. There are no issues with that as it is only an ID card. Like you have a credit card that is not connected to any Central database. You simply go and carry out your transaction. But the ‘identity plus’ element of the Aadhaar is unconstitutional”, Mr. Sibal continued. In response to a question by Justice Chandrachud, he explained, “the identity plus is the metadata. When I open a bank account, why should the State know? Like it has been held that one cannot be required to part with their mobile phone because that contains their history; it is like a footprint”. “Sections 3, 4, 8 and 57 are the heart of the statute. If section 7 was not there, the same objective could have been attained under section 12 of the Food Security Act. The PMLA rules are there; even the telecom sector has issued separate orders. The Act of 2016 is only an architecture for Enrolment, Authentication (i.e. section 8) and section 57 which makes room for other bodies”, Mr. Sibal continued. “Section 7 is the umbrella provision for all security services and not just food security. It is not inconsequential”, remarked Justice Chandrachud. “The Act itself allows other ID proofs like passport, pan card, water bill or telephone connection. These maybe acceptable by the UIDAI but not allowed to prove identity? How unconstitutional is that?”, continued Mr. Sibal. “Constitutional identity may be multiple- gender, religion or status, that is, OBC, General etc. but the identity under the Act is not constitutional identity”, observed Justice Chandrachud. “But Article 21 gives me choice and the Aadhaar Act takes it away. 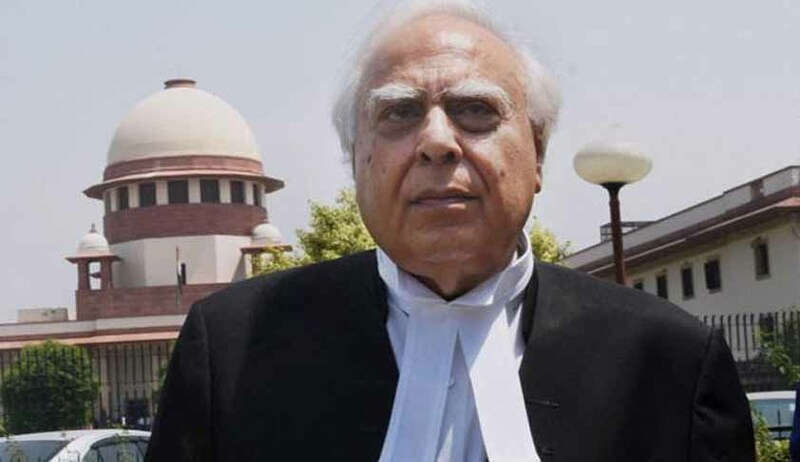 In 2 judgements, this court has held that choice is a part of dignity”, responded Mr. Sibal.